I haven't been blogging much lately and was worried I might not get back into it. A friend of mine suggested I "take a vacation" and then try it, see if the creative juices flow again. Recently, I challenged myself to really look at things, find new stuff in the places where I walk every day and where I think I have exhausted my ability to see. 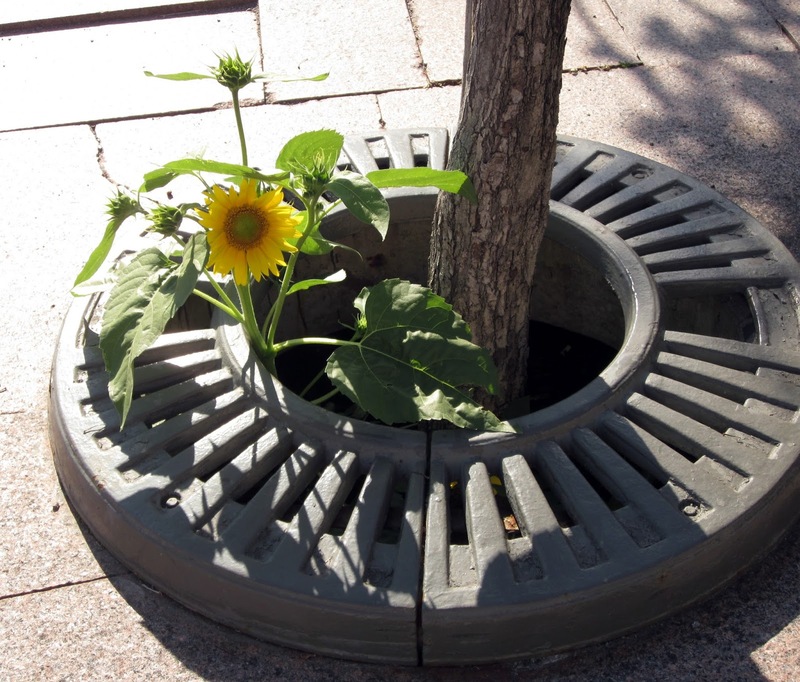 The first thing I saw was this sunflower growing where it shouldn't be growing - in a "well" in the sidewalk where a shade tree was planted on a busy city street. How did it get there? How did it survive? Are the tree and sunflower happy sharing this little spot? 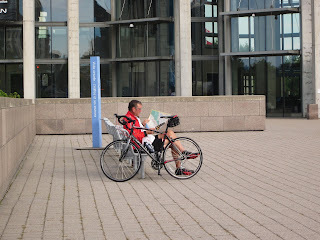 I took some random shots of this man reading a map, with his bicycle beside him. 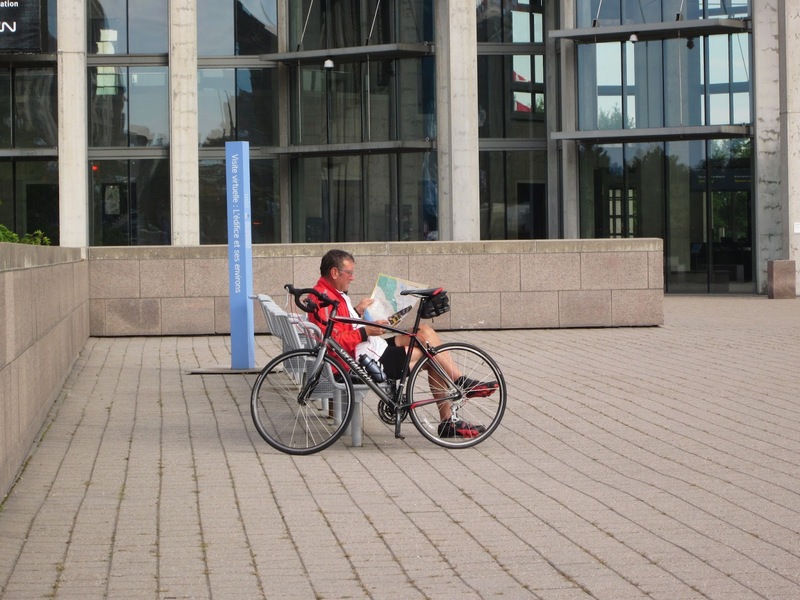 I like this one because the composition of elements is fun - the man, the bike, the radiating lines of the patio stones, the vertical walls and the building behind. 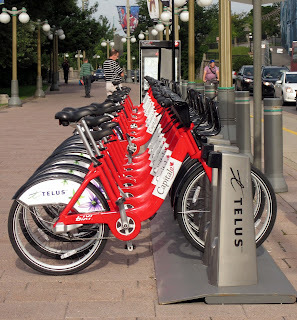 Speaking of bicycles, this was a fun angle to take this picture and get all the bikes receding in the distance. 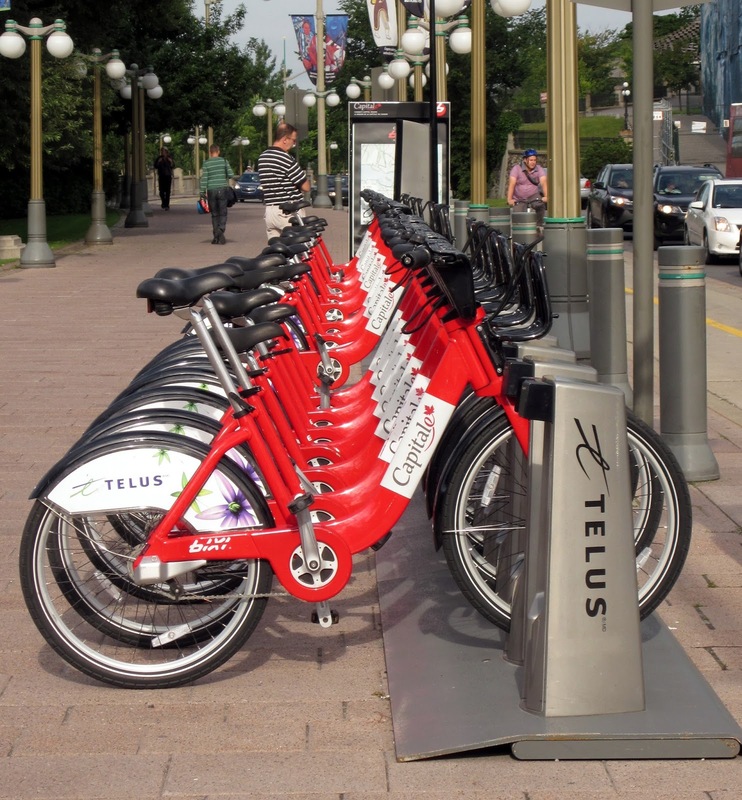 The man in the striped shirt was busy trying to figure out how to rent one of the bicycles. 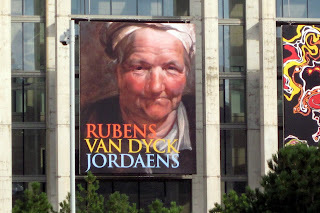 When I took this picture I thought - little did this woman realize, back in the 17th century when she sat for this painting, that her face would one day be blown up to a huge size and hung on the side of a building for hundreds of people to see looming above them as they walked by on a summer day. This has little to do with the pics above, but I am quite intrigued by this sign. 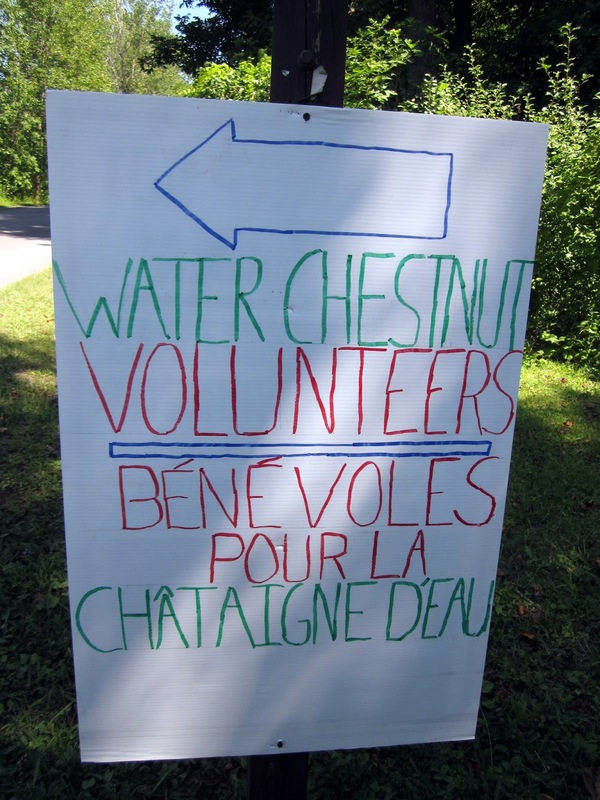 I was walking in Voyageur Park with my friend Holly this past weekend and saw it, so I had to take a picture because I really want to know - what the heck are "water chestnut volunteers"? Any guesses? Great series! I often feel the same way looking at posters of ancient artifacts or very old paintings - did the subject realize that they were achieving a sort of immortality?